Salford gets a bad rep from time to time. However there are some nice little neighbourhoods across the borough and Monton is one of those. Monton is tucked away on the leafy edges of Eccles, next to Ellesmere Park. Ellesmere Park is a rather desirable area to live in Salford with lots of Victorian villas on sizeable plots of land. If you were brought up in Salford and came into some money, Ellesmere Park would be one of the places you’d consider moving to. Although in recent years some of these houses have been demolished and flats built. As a result of this affluent neighbourhood, Monton has become an up and coming des res for people who can’t quite afford Ellesmere Park prices, but like the association. I would liken it to the Didsbury / Chorlton experience, but on a dinkier scale. Anyway, Monton. I have come to know Monton reasonably well over the years, partly due to friends living there and partly because Monton has the nearest branch of my bank. Monton is a place you don’t pass through by random chance as there are no major road routes through this suburban village as it’s wedged between the M602 and the A580 East Lancs. Either you are going to Monton or taking a back route into Eccles. So it’s worth having a look on a map beforehand or just use a sat nav. If you are thinking of parking on a side street, think again. The Council have made all of the nearby streets permit parking. There are the odd 1 hour only spots; however your best bet is the car park behind Monton Road shops. Don’t risk parking in the permit parking places as the place is regularly patrolled by traffic wardens. 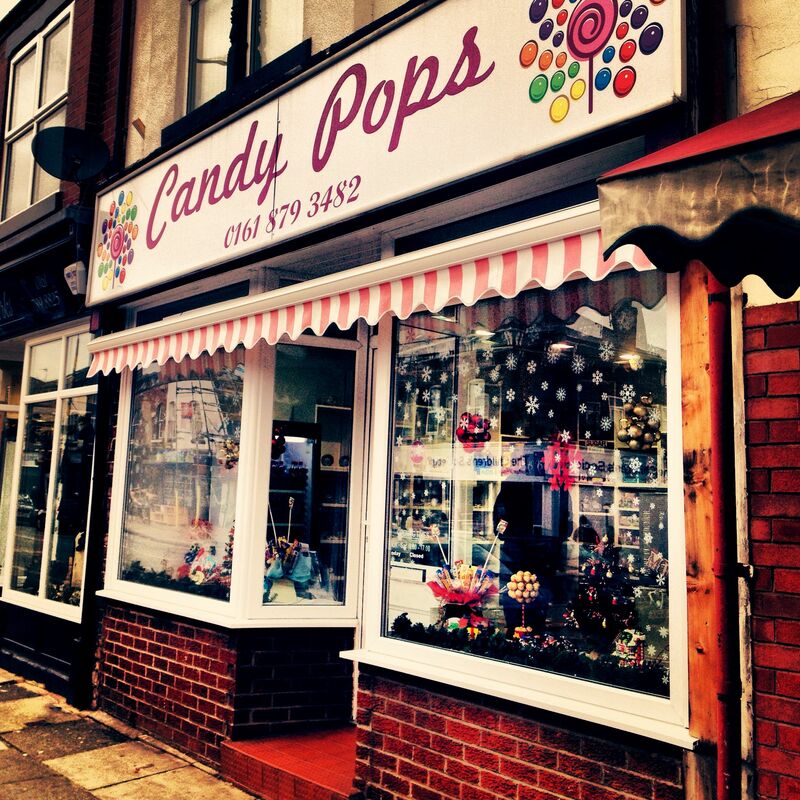 The shops in Monton are located on Monton Road. 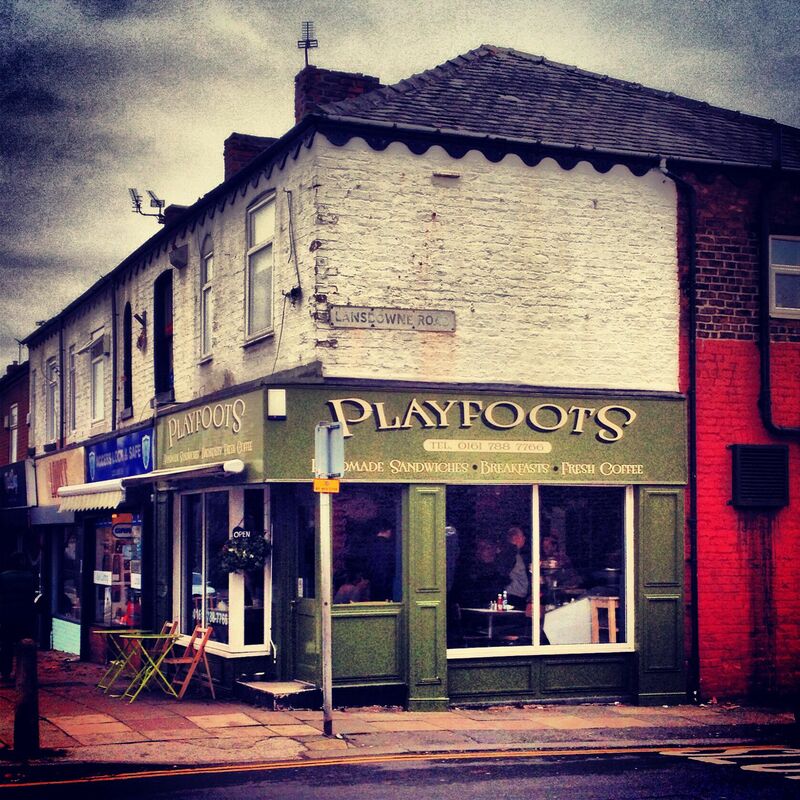 Over the years Monton has evolved into an up and coming neighbourhood. Whilst it still possesses traditional high street shops, little independent shops are infiltrating the main street. 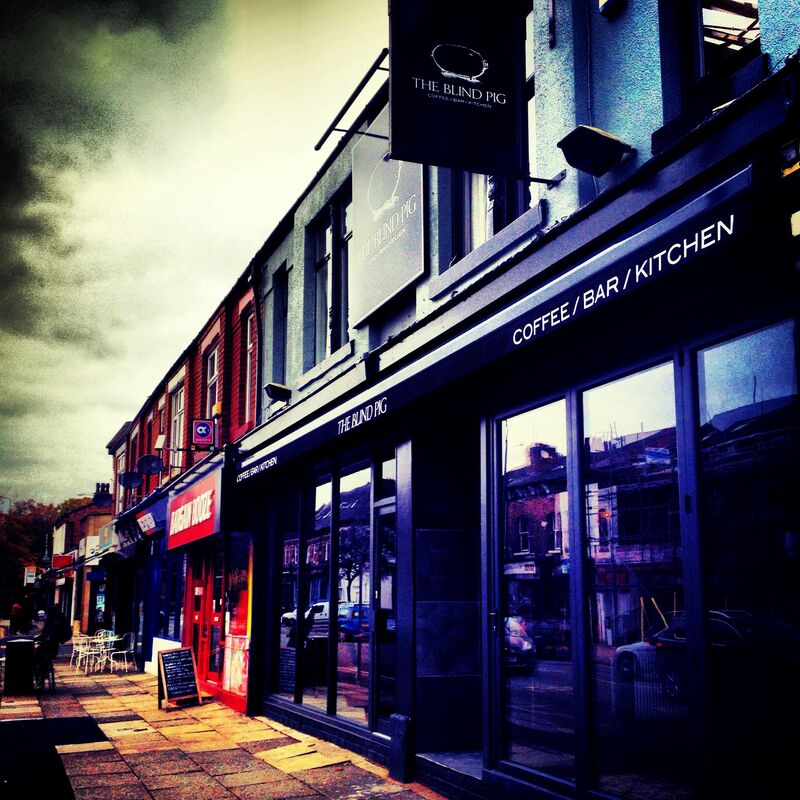 Coffee shops are popping up all over the place and there is one that doubles as a deli. I need to nip in as they are a stockist of Hawkshead Relish Fruity Brown Sauce – the best brown sauce I have ever had. If you have a pet, you have a choice of pet shops and grooming salons. Once I went to Monton and found a new pet shop had opened. 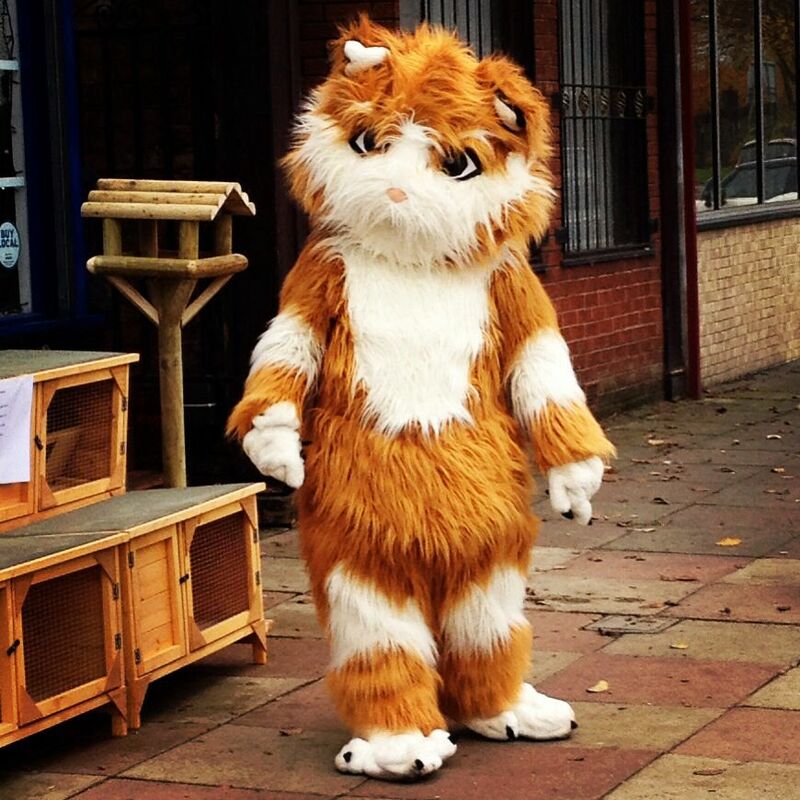 There was a person in a cat outfit trying to drum up trade. However they ended up being a photo opportunity for all the local kids who were keen to get a photo with the freaky looking cat. I noticed there were hardly any empty shops on Monton Road. If they were closed it was because they were being refurbished. There has been a little bit of an invasion of the Tesco Express kind, however my friend finds it a blessing as she is a busy mum of three and she can pick up stuff between her weekly shops. There are two charity shops in Monton: Age UK and the Childrens Society. Over the years we have visited them and have often donated to them. Although I do feel really guilty as on my last trip I dumped a load of old videos on them. I hope they managed to shift them. You can always tell you’re in a well-to-do neighbourhood when there is a designer dress agency. It must be the place where the ‘ladies that lunch’ from Ellesmere Park and Worsley sell off their cast offs for pin money. I keep meaning to go out for an evening in Monton. There are several restaurants to choose from including Indian, Italian and European. Amongst the traditional pubs, a few little alternative bars have sprung up like the Blind Pig and the Malt Dog. It’s nice to see a good mix of places in any neighbourhood. Monton has a good mix of housing, from flats to large detached houses. Surprisingly the old Monton House Hotel has been demolished to make way for retirement flats, which makes a change from regular flats. In recent times Monton property prices have become a bit high. However this can only be expected with a good school like Monton Green Primary School, where places are much sought after by local parents. You can’t help notice that there is a community spirit in this village and they have their own village association. There always seems to be a community event in the planning and people seem to care about the place. My friend often goes to these events with her kids as they are still young enough to appreciate them. In a few years’ time only the Trafford Centre will do for the kids, which is only a short bus journey away on the 22 bus. A thing I love about Monton is how green and leafy it is as you drive in. A couple of years ago I discovered Monton is on the loopline network which uses former railway lines to provide off road cycle and walking routes across Greater Manchester. It’s also part of the national cycle network and route 55 runs through Monton. They are really nice to walk on a sunny day and you get a really hit of nature walking through the tree-lined paths. My friend mentioned there is also a play area along the loopline too. Also if you don’t fancy that, the historic Bridgewater Canal runs through Monton and you can walk along the canal banks observing the wildlife and canal boats to Worsley Green, which is another lovely place to visit. 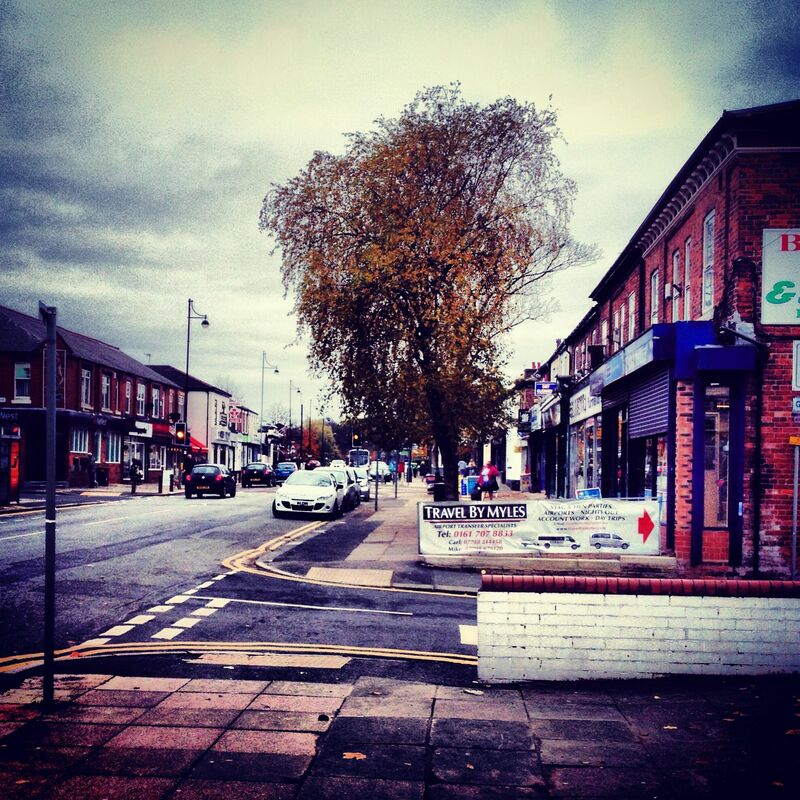 Monton is a nice family neighbourhood, with lots to offer. It’s great how you can live a city life, but still have a village experience. With Media City just a couple of miles away, I can imagine this place will become a property hot spot with the media folk. Monton is definitely taking notes from Chorlton, but thankfully there are plenty of down-to-earth elements to stop the place getting too trendy for its own good.